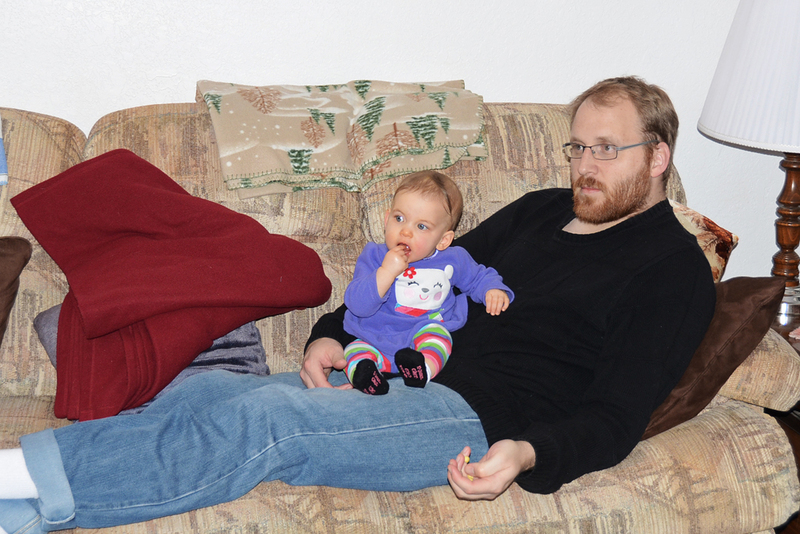 Joy just chillin' with Daddy, eating Kix, and not feeling real great. In other news, we will not be watching the Super Bowl for the foreseeable future unless it's later and we can fast forward through the commercials. Didn't really want to have that conversation with my 5 year old on the way home.